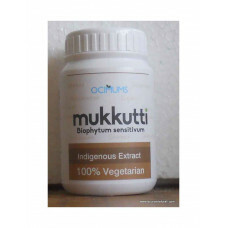 We are selling 350mg extract whole plant of Mukkutti in vegetarian capsule. The detailed description of plant is as follows. Mukkutti has been used in traditional folk medicine to treat numerous diseases. In Ayurveda this little herb Mukkutti is described as a good medicine. It is used for chest complaints , convulsions , Cramps and inflammatory tumours . It's ash is mixed with lime juice and given for stomach ache . Leaves and roots are styptic , decotion of leaves is given for diabetes , asthma and phthisis. Arthralgia, Arthritis, Back Pain, Bone Spur, Bursitis, Carpal Tunnel Syndrome, Cervical Spondylosis, Degenerative Joint Disease, Degenerative Neck Disease, Fibromyalgia, Leg Cramps, Leg pains, Osteoarthritis, Rheumatoid Arthritis, Sprains, Stiff Neck, Tendonitis and Tennis Elbow are also treated using mukkutti in Ayurveda. Mukkutti herb is very useful in treating Varicocele. The whole herb (30gms) need to be boiled in 300ml of water for 40 mins. Strain and cool this potion and drink it two times daily for 180- 240 days and complete relief would be accorded . It is also used for treating heavy bleeding seen in women. Its leaf well grinded in butter milk is used in treating dysentry. It is a good medicinal herb to clean the uterus after delivery. Biophytum sensitivum is a very small flowering plant and is native to India. It has only a few pinnate leaves with 8-10 leaflets on either side. 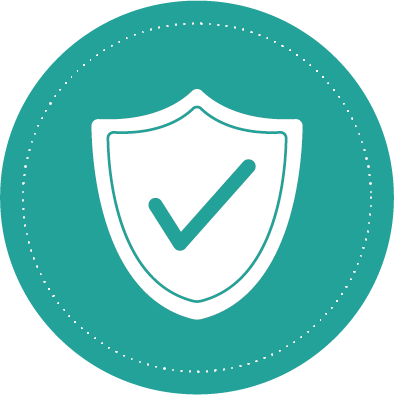 Each leaflet may measure upto 4-5mm and the total length of the leaf is less than 5cm. This plant produces about five to ten small flowers with yellow,white or pink petals. bit slower, though. These plants are much more pretty than Mimosa. They are usually found in wet lands (mostly plains) of tropical Africa, Asia and India. Normally in the shade of trees and shrubs, in grasslands, open thickets, at low and medium altitudes. made of 8 to 17 pairs of leaflets. Each leaflet is up to 1.5 cm (0.5”) long and what makes them really remarkable is their ability to fold together - call it an extreme form of “sleep movement”which is exhibited by a lot of members in this family. When applying pressure,tapping damaging them they neatly fold together in a few seconds. Tapping the leaf once more makes it droop down, often cascading the effect to adjacent leaves. This plant also displays this behaviour (albeit slower) when the level of light drops at night. This ability is not restricted to the leaves, the peduncle which carries the flowers has the same ability and also drops at night. This mechanism is probably a means against insects which would otherwise damage the plants, but this is peculiar since plants from this family contain poisonous oxalate. The flowers (1cm ) are normally yellow, white or orange with a red/orange streak in the center of each of the 5 petals. Not only do they look like miniature Primula flowers, they share a threat with this genus which is quite interesting: heterostyly. Heterostyly in Biophytum sensitivum is responsible for 3 flower morphs. shorter than the persistent calyx. The flowers on the same plant are all of the same morph. This mechanism normally assures self-incompatibility because pollen from a long/mid/short stamen will only set seed if it's germinating on a matching long/mid/short style. without intervention. 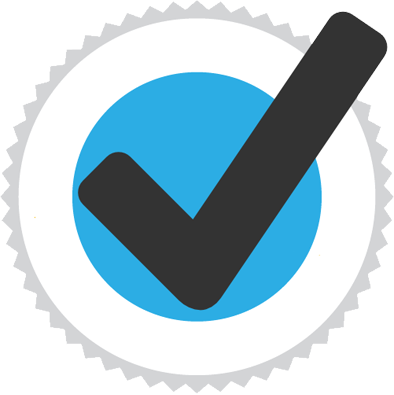 The reason is that there's a 4th less-known and rarer morph: the homostyled form. Homostyly is rare in plants that show tristyly, but quite common in biophytum sensitivum. This fourth morph is a form where the pistils are the same length as the stamen and has been the source of much confusion in the propagation of these plants.These homostyled morphs are true from seed when selfed, and can be recognized by a pure yellow flower which is a bit smaller than the heterostylous plants. This is quite important to know since this species is actually an annual. They thrive on a rich soil that is slightly acidic in pH. They neither like wet nor dry soil, so add sand to the soil mix and water regularly to keep it damp. Reduce watering in Winter but don't let it go dry. Biophytum sensitivum enjoys a position in bright indirect light. Too much direct sunlight can cause the leaflets to curl and shrivel but you might want to experiment. Too little light will result in dwarfed plants with a small number of leaves. Place them on a North-facing window or in a well-lit terrarium. Biophytum sensitivum is easily propagated from seed.They can grow much longer than a year in cultivation but they'll eventually give up, at which time it's best to have a small batch of seeds. Selfing isn't really an issue and the homostyled plants will happily set seed without intervention.The seeds are catapulted away from the plant. Each seed is enveloped by a stiff and a flexible fleece, this builds up a tension as it dries. When the seed is mature the flexible part detaches and the seed is shot away. The plants remain viable for many generations and seeds from commercial sources probably come from homostyled forms which could imply a very narrow genetic diversity. Buy one Get one free.............Free shipping........ 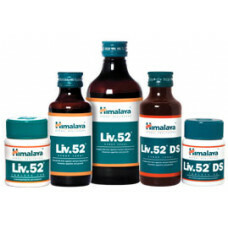 Delivery in 7 working days( Prices inc..
A well-known herb that helps in improving alertness. 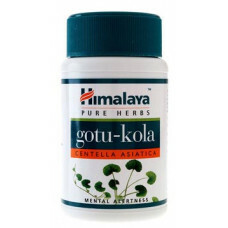 Action: Gotu-Kola acts as an anti-anxiety and..
Clarifying Fairness Face Wash Action: A soap-free, herbal formulation, Clarifying Fairness Face Was..